Invited to be a part of the annual Subtle Technologies design festival in Toronto, Marisa Gallemit and I collaborated on the design and construction of these wearable works. 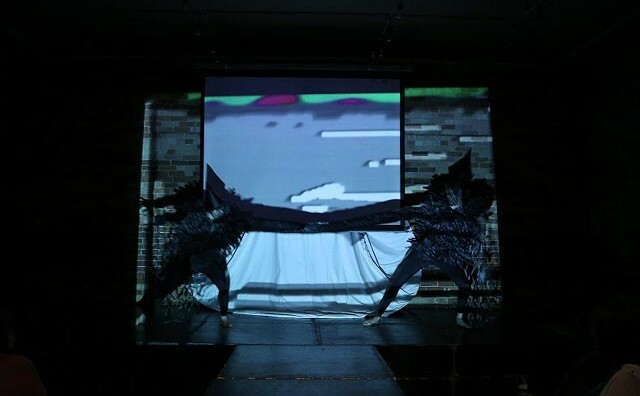 The theme was for the 2016 festival was to feature 4 collaborative teams that created a series of runway works about sustainable, wearable technology. We decided to focus on the act of collaboration itself as necessary for future survival. In this way, we created garments that required two people to activate. We made the garments out of used bicycle inner tubes and vapor-barrier to create sustainable artwork for the festival out of what otherwise would have ended up in the trash.